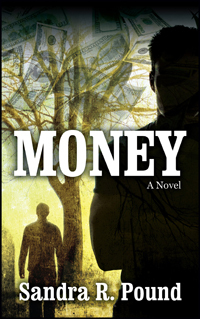 Sandra R. Pound’s “Money: A Novel.” When rich and powerful Moses Lackey sets up his medical practice in Britton’s Neck, South Carolina in 1900s, people’s hopes as well as suspicions are raised. Some people begin to dream of greater medical access and, on the other hand, some people begin to devise ways to access the Lackey fortune. Marty, Moses’ only real friend, returns from war wounded and bitter. The two share a special bond with their past experiences.